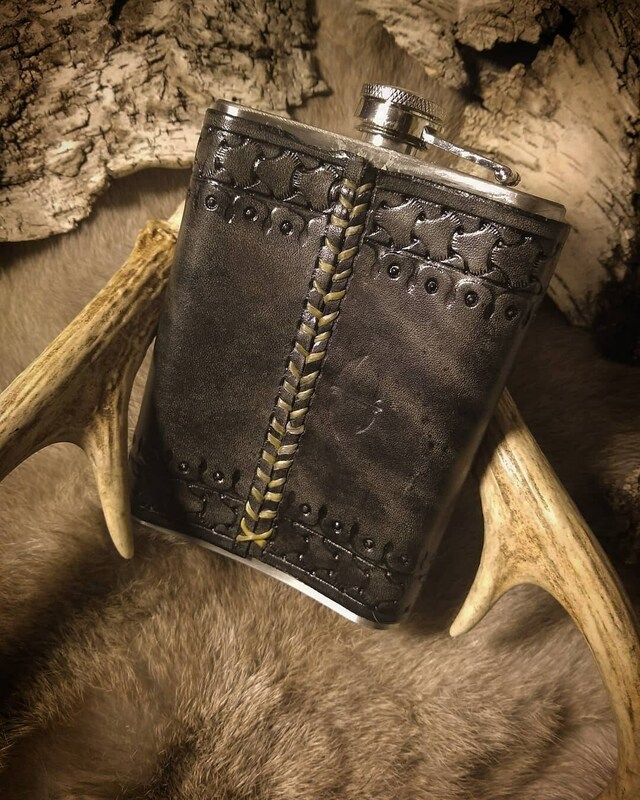 This is a perfect, durable drinking flask for the Modern Viking. 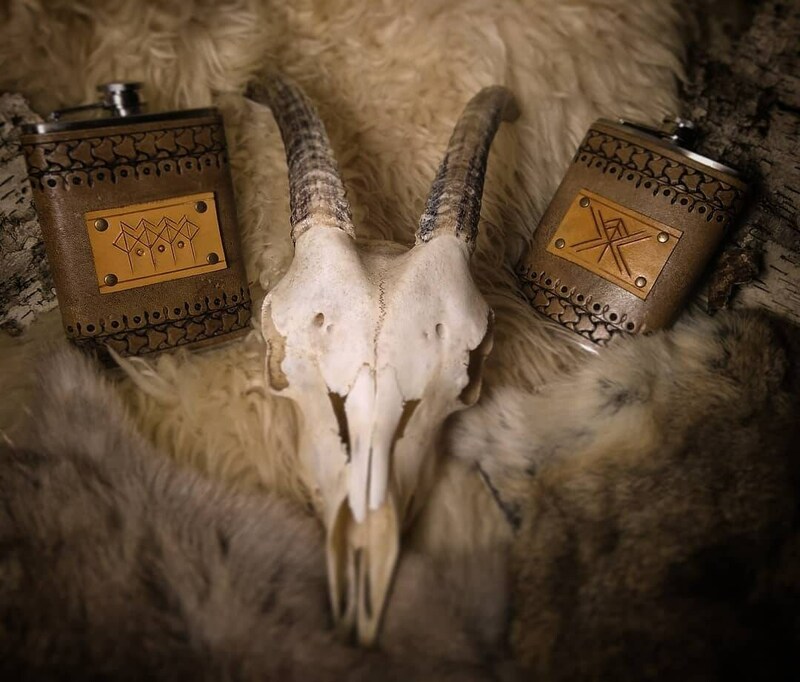 Take a sip out of your Viking Flask with confidence as you show off your own rune, bindrune, or symbol. See more about customization below. 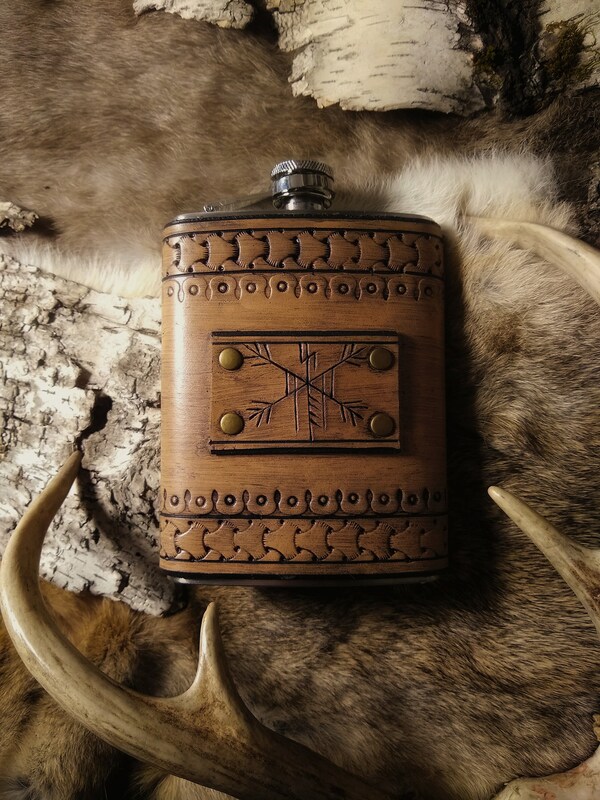 Show off your Heathen nature in your everyday tools with this viking flask for many years to come. 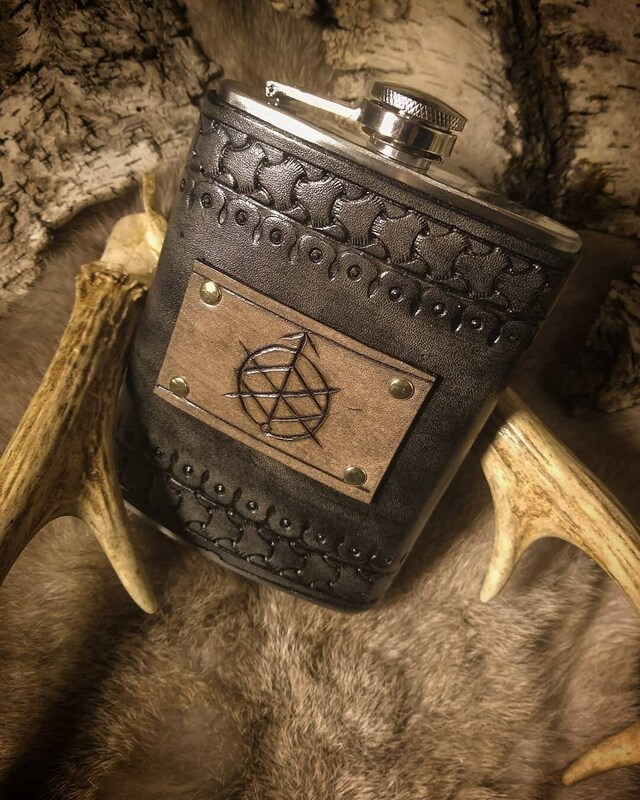 This flask, along with the other items in my Everyday Heathen Holiday Line, are perfect holiday gifts for loved ones. 2) Choose color. 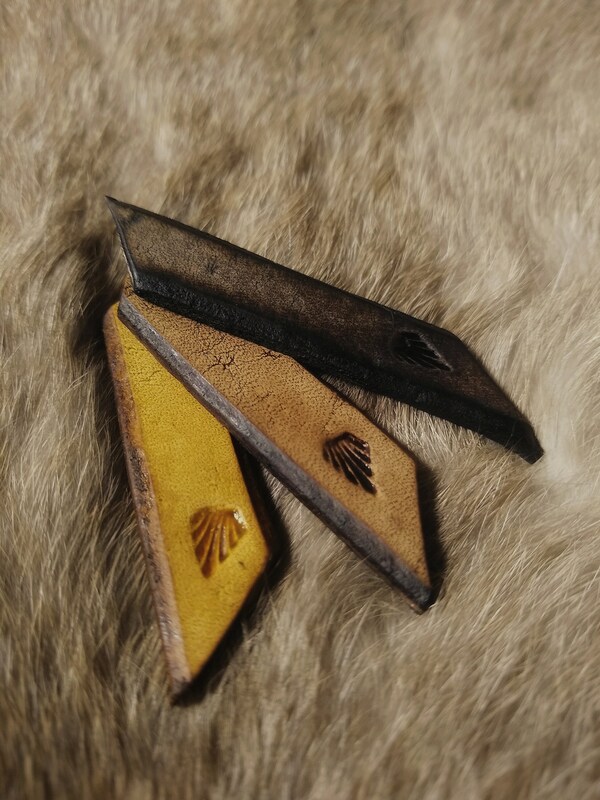 The color options shown are Total Brown, Black w/ Brown, Honey w/ Black, and Brown w/ Honey. The color of the hardware can be either silver, gold, or antiqued brass. If you have a preference on the color of hardware, mention it in the text entry box at checkout, or send me a message. I get these for my business associates and they *love* them. 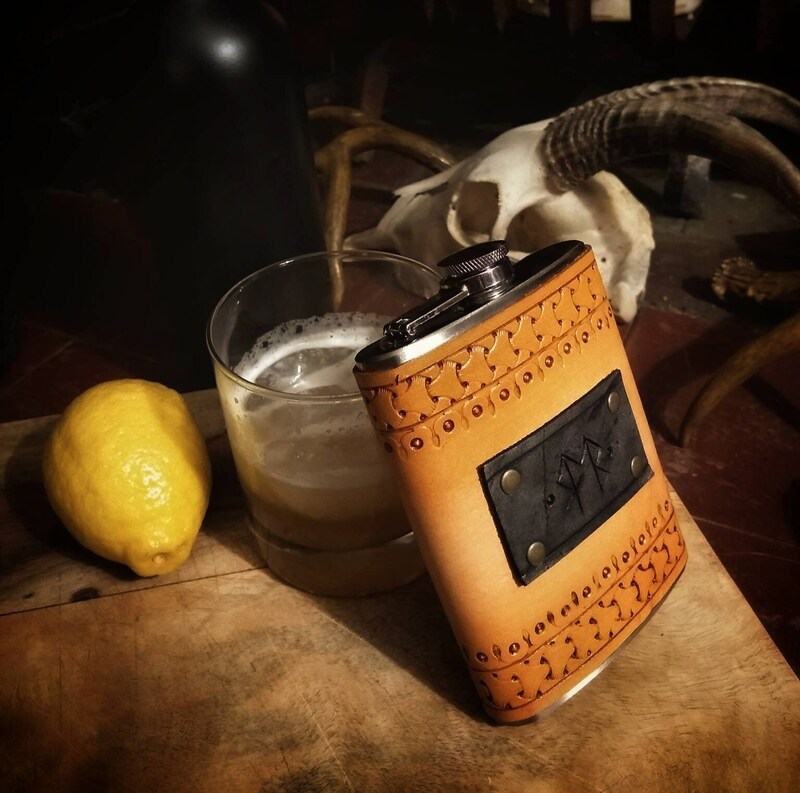 Classy, edgy, custom, and they make a great story. 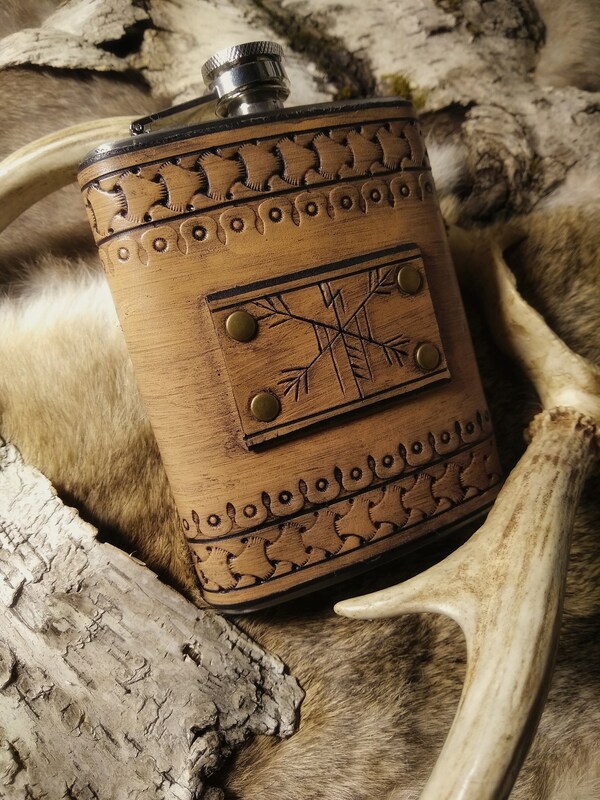 I bought this flask as a Yule gift for a dear friend of mine. It is even more beautiful than I could have imagined! The detail in the work shows the love for the craft. I am very pleased with this purchase and anticipate purchasing more from embercraft in the future. Gave these as gifts to my company managers. It was perfect as they both appreciate fine whisky. 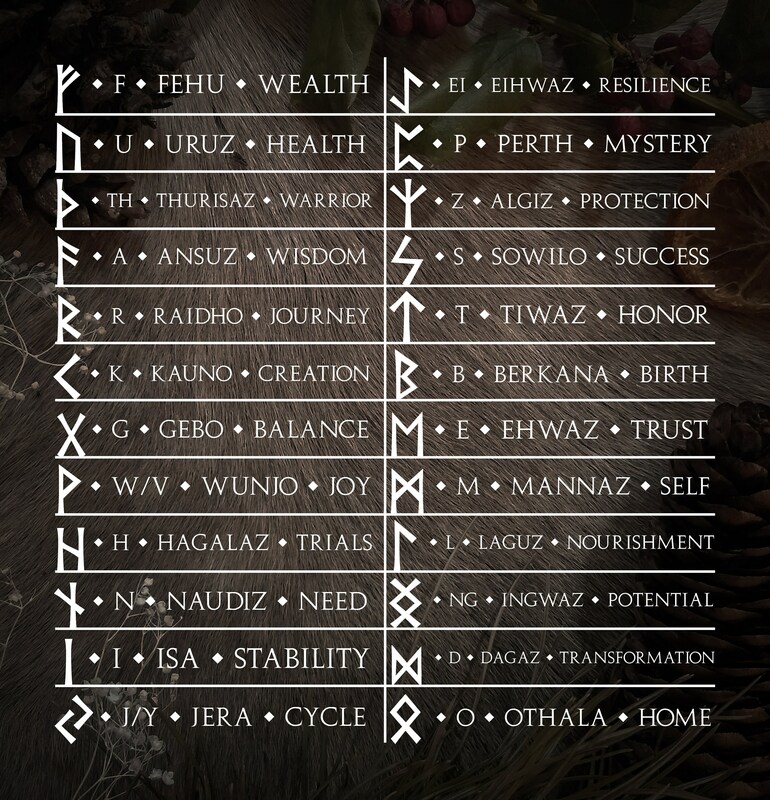 Chose Runes that reflected their role and their personality. Made the very smart choice to pay $5 extra for the packaging (really - just do this, presentation is a big part of gift giving). There's something very special about giving a handmade gift to someone that is also customized to fit their personality. Will definitely be purchasing more of these in the future!